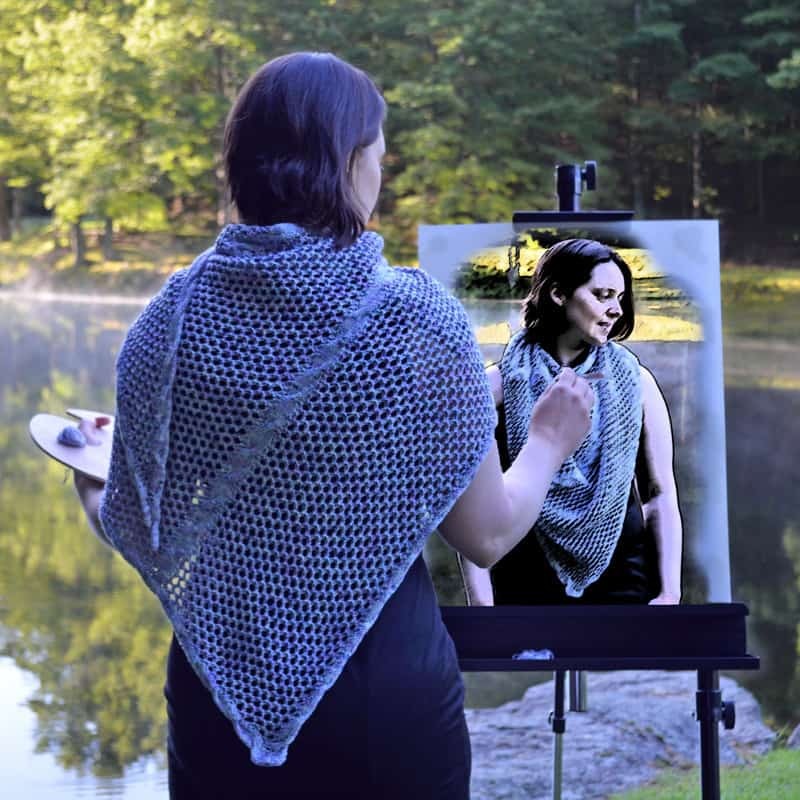 Artists employ a variety of mediums from watercolors to acrylics, frottage to impasto, but knitters paint with yarn! 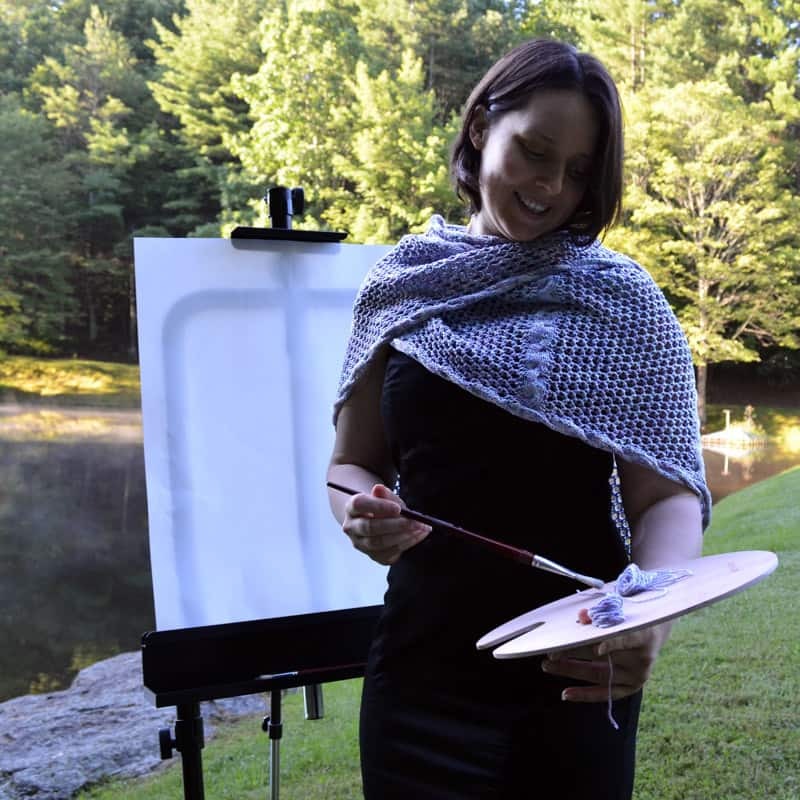 Like broad brushstrokes, sweeping curves shape the Artist Studio shawl into a “no right angles” FO. Cables juxtaposed with lace anchor the wild lace abandon between structured architectural cable details. Use watercolor tones to create your personal serene Monet, bold solids for a punch of Picasso, or speckled variegated yarn for a determined Pollock mood. 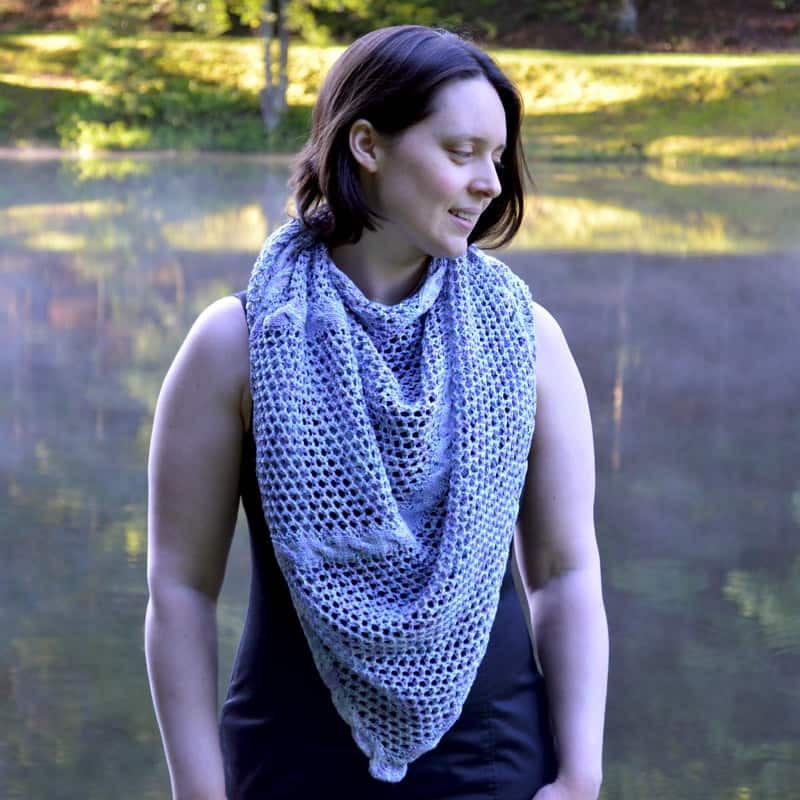 The tech edited and test knit pattern is fully written with charts and a schematic. Check out the Knit Eco Chic channel on YouTube for a video tutorial of the continuous bind off method used. 50”/ 127cm wide by 32”/ 81cm deep. 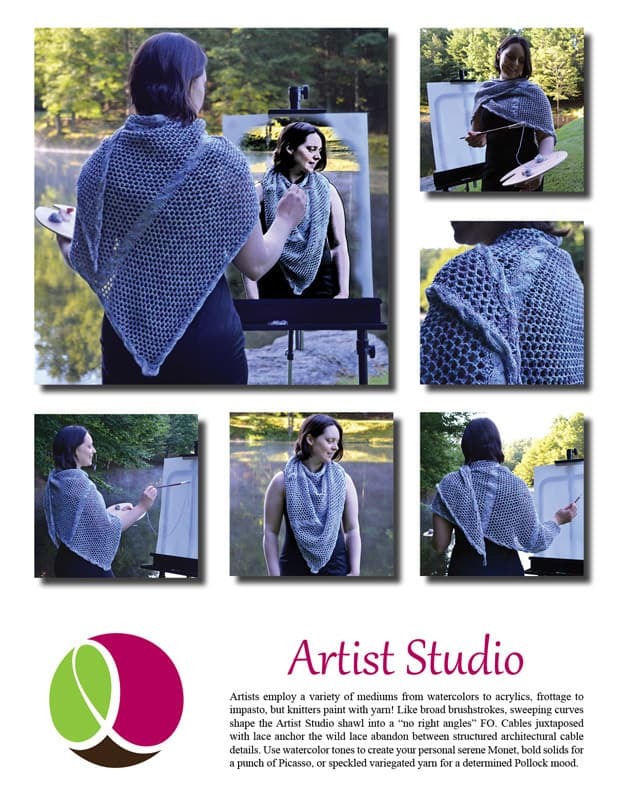 Note: this shawl is a unique shape with sweeping curves on all sides! 3 skeins The Unique Sheep Organic Cotton Petite DK. Shown in color Fluorite Single skein info: 100% organic cotton grown, processed, & dyed in the USA. 265yds/ 242m per 100g/ 3.5oz. 22 sts and 34 rows over 4”/ 10cm in Stockinette Stitch. Note: exact gauge is not critical to this design. Gauge variations may impact final size and yardage requirements. *From Kelly, the dyer: Fluorite is a speckle dyed color way. They were all dyed at the same time, but because the technique is a bit random, each skein can definitely be different than the others. 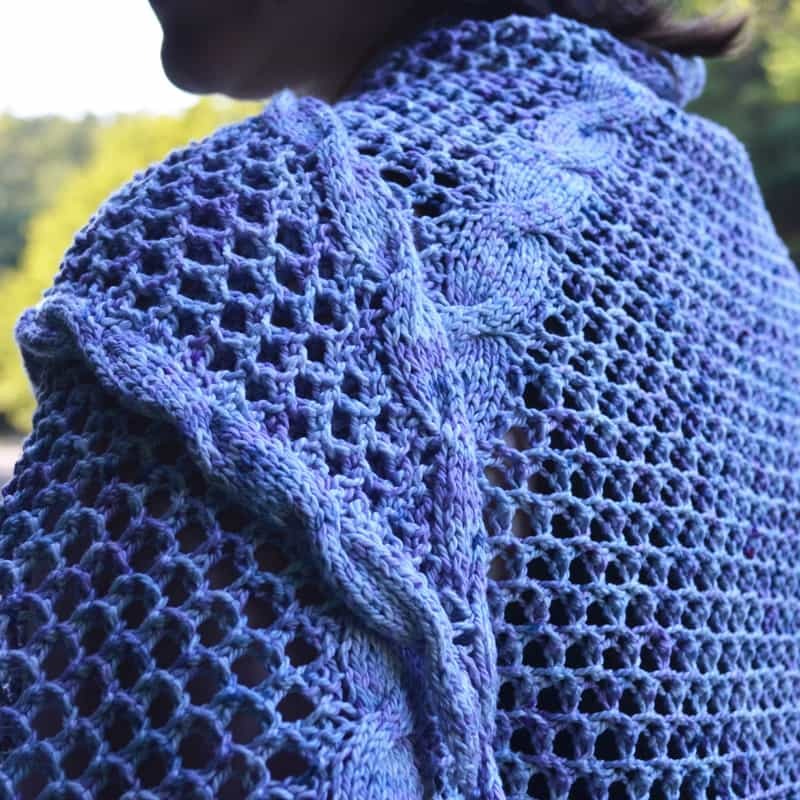 So it is especially important that you alternate skeins as you knit if you want to hide the skein transition. *Check out the Knit Eco Chic channel on You Tube for a video tutorial of the continuous bind off method used.